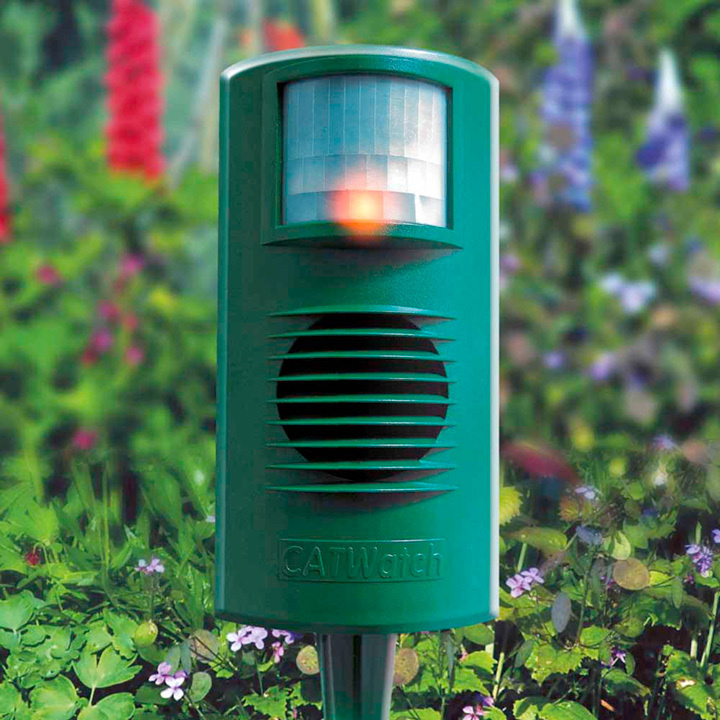 Catwatch - Protect gardens and birds from cats all year round. Easy to use and economic to run. The ultrasonic alarm is triggered by the cat's movement and body heat. Inaudible to humans and harmless to cats. 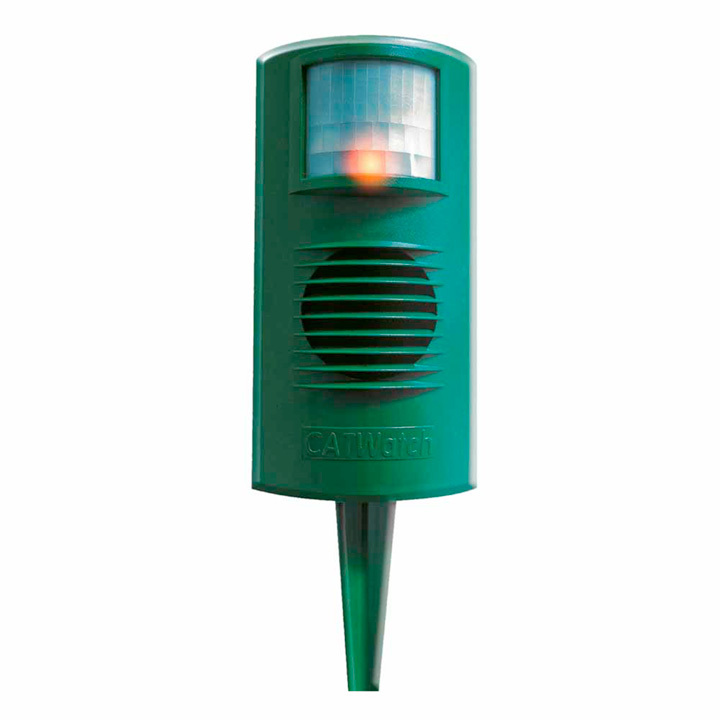 Works in most weather conditions. Will protect an area of up to 125 sq. metres. 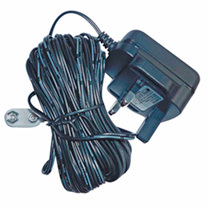 Powered by 9 volt alkaline battery or optional 12 volt mains adaptor. Two year manufacturer's warranty.